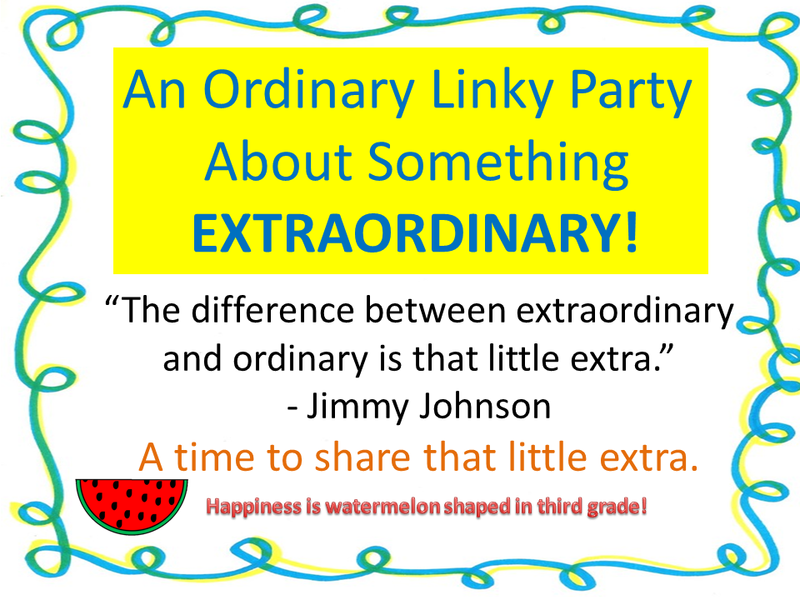 An Ordinary Linky Party About What's Extraordinary - My First Attempt At A Linky Party! - HAPPINESS IS WATERMELON SHAPED! An Ordinary Linky Party About What's Extraordinary - My First Attempt At A Linky Party! I got this painting for my 50th birthday party from my family. It hangs in my kitchen right near my seat - we have assigned seats at our kitchen table. 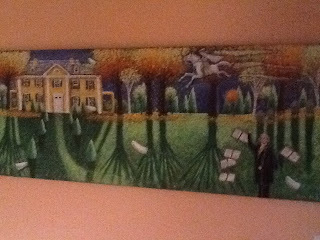 The artist - Tim Murley - actually was surprised that someone would want to buy this painting, but my daughter explained how I teach 3rd grade and love Massachusetts history. This is hanging in my mudroom which is the first room you enter in the house. 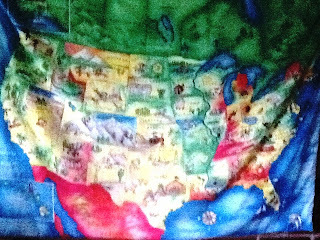 I love how this map is so colorful, and I love looking at all the states and seeing how big and faraway a lot of them are. I would also appreciate feedback/suggestions, too. My email is: skrevat@juno.com. I hope you'll consider taking part - thank you! Please go to the very bottom of the page to add your link. Hi!!!!! 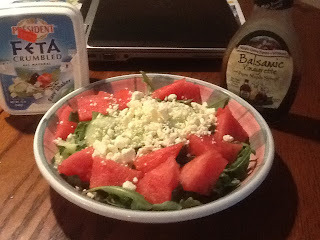 I am just stopping by to tell you that I love your blog and I'll be joining in on your Linky Party! Also, I have nominated you for the Liebster Award which is an award for blogs with less than 200 followers!! Head on over to my blog to read the rules! Hi! Great post! I wanted to share my ordinary/extraordinary finds with you!